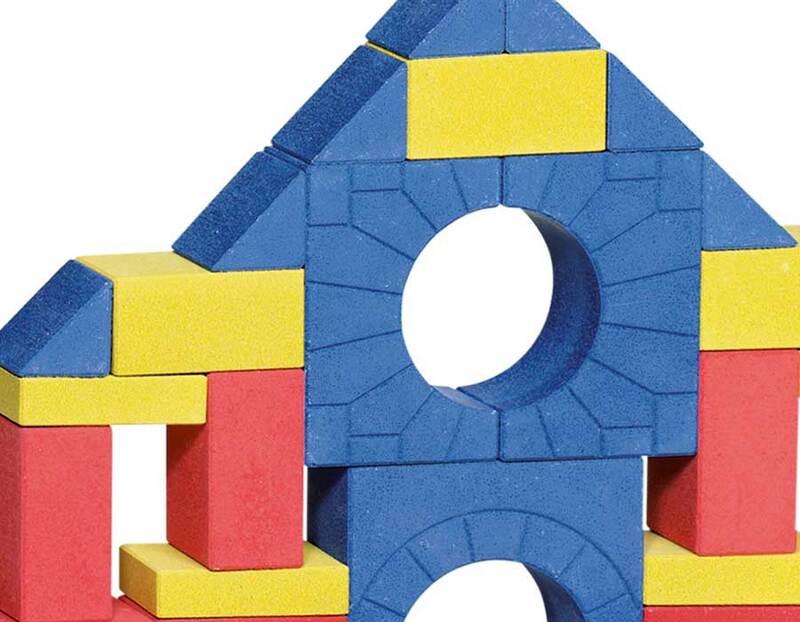 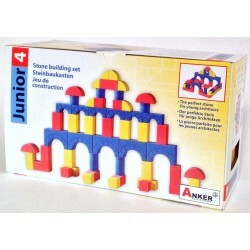 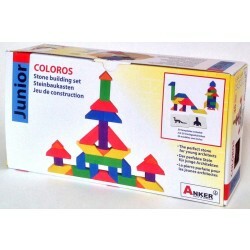 The Junior stone building block sets are geared towards free-form building. 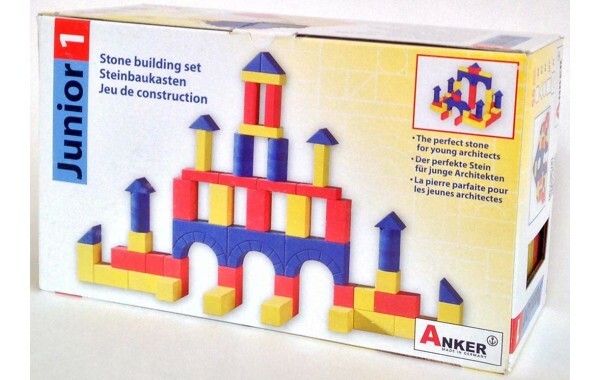 They include bricks of primary colors red, yellow and blue. 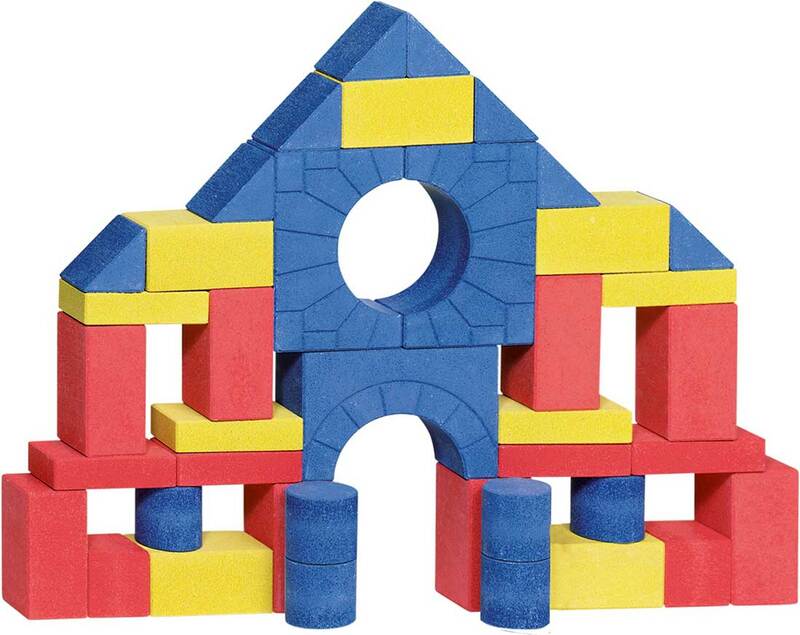 The stones are smooth, heavy, and precisely manufactured for stable building projects. 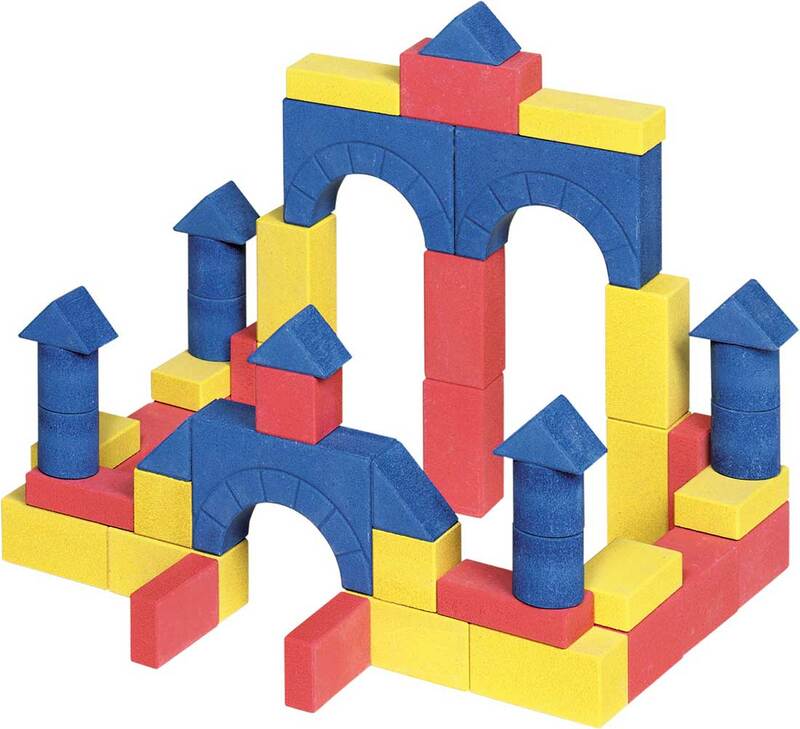 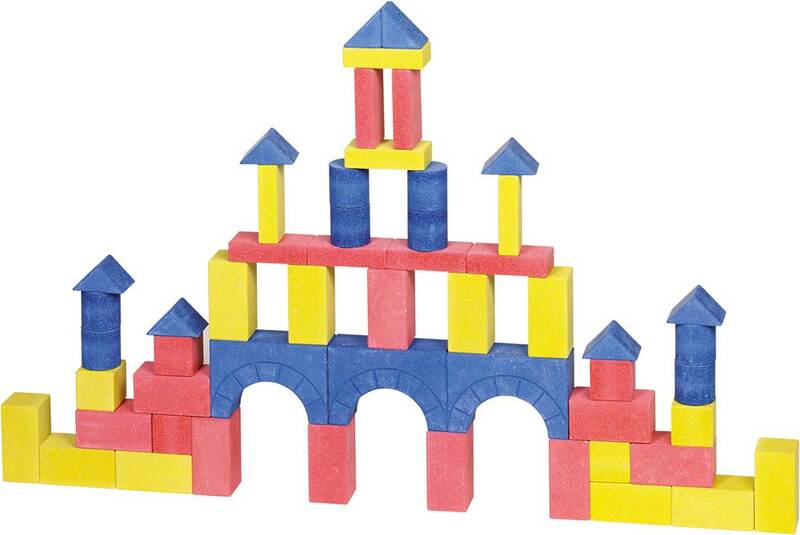 Building set I includes 55 blocks and features arches, square and round columns, and triangles. 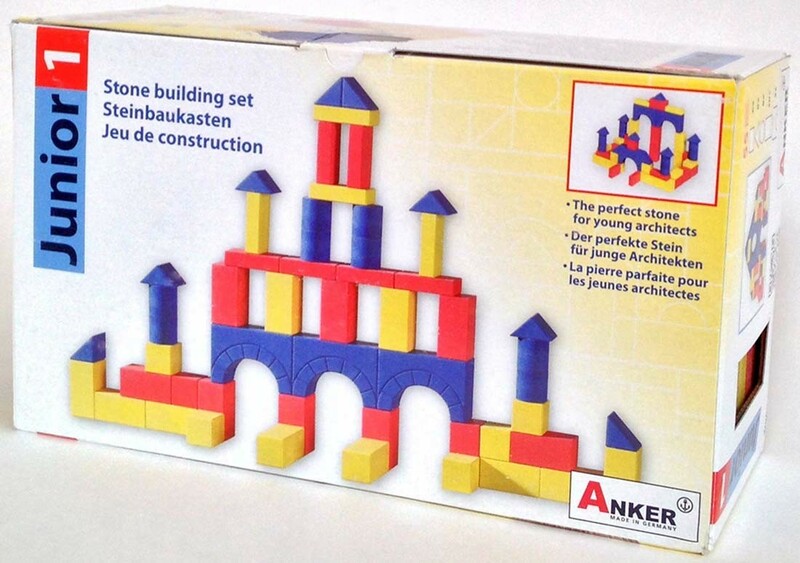 Packaged in a paperboard carton. 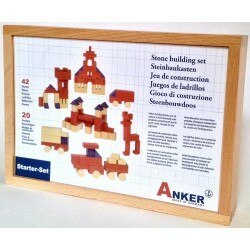 Anchor stones are produced from all natural materials; quartz sand, chalk, and linseed oil.